Pagans of the Isis bloodline didn't have a "theory" of evolution. They accepted it as a self-evident fact that humans had risen from lower primates. Evolution was a fundamental precept of Pagan religion. The underlying purpose of the Pagan religion of the Isis bloodline and genealogy was to elevate humankind to a higher order of life. Paganism began from a period of enlightenment. There was a "Golden Age." Over the course of time, they lost sight of their origins and their original purpose. Dark ages returned. Nevertheless, they began from a period of enlightenment, and they partly succeeded at enlightening humankind. Monotheism presumes that humankind is already the end product of God's creation. Monotheism attempts to improve the state of humankind by controlling human behavior and by conditioning the environment outside of the human. Monotheism endeavors to improve human society WITHOUT changing human nature. Paganism endeavored to improve human society BY improving human nature. Evolution is the process of adapting to change. There is no way back to "natural evolution." We cannot wait for natural evolution to adapt us to the world as rapidly as the world is changing, or to heal the world as rapidly as we're changing it. Living conditions on this planet are changing far more rapidly than the humans are adapting. Natural evolution can't keep up with the rate of change. Humankind has already taken its first step down the path of determining its own evolutionary future. We have no choice but to continue down that path. Up to now, this species has relied largely on changing the planet to suit human nature rather than adapting human nature to fit the planet. However, that process has produced an ever more rapidly changing environment. The changes that we are introducing into the envoronment are having ever further reaching effects on humans, and are adversely affecting other species as well. Ultimately, we shall have to practice genetic engineering to suit ourselves to this planet and to other planets that we will occupy in the future. Whether by teleology or by blind chance, this species, Homo sapiens sapiens, has become the primary evolutionary selection factor for itself and other species on this planet. We have no choice but to accept responsibility for our own evolutionary future and for the ecosystem of this planet. There is no way back to "natural" evolution. Where can we find the wisdom to make the right choices, and where will we find the political will to carry them out? Some of the answers to those questions lie in our Pagan past. Pagans of the Isis bloodline took an active role in their own evolution. They used selective breeding and selective midwifery to accomplish their "evolutionary" goal of elevating humankind further above the beasts. Pagan culture promoted the breeding of certain desireable genetic traits. Pagan midwives were trained to recognize certain desirable and undesirable genetic traits in newborn babies. They removed undesirable traits from the bloodline. Over a period of time, Pagans of the Isis bloodline "engineered" their own gene pool. This "eugenic" method of human engineering would be impossible in the present political climate because of ancient abuses of power, the established culture of Biblical monotheism, and some horrors of recent history. Nevertheless, our Pagan ancestors of the Mother Goddess Isis religion did succeed at raising humankind a tiny step up the evolutionary scale. Paganism was a mixture of culture, genealogy, and politics. The religious social part of Pagan religion was directed at behavior. The social aspect of the religion encouraged people to control their animal instincts and live in harmony with each other under a mutually beneficial non-predatory social contract. One purpose of this social aspect of Paganism was to provide a cultural climate in which the work of improving human nature could be accomplished. Then as well as now, people have always been worshippers of power. Ultimately, the political power aspect of Paganism overwhelmed the social and genetic purposes of the religion. Pagan religion and the Genesis of Isis sprung from a period of enlightenment. Later generations, of course, got more involved in the political power aspects of Paganism, and less involved in the social contract and genetic improvement aspects of their religion. In their lust for power, they lost sight of their religion. They became an exclusive and corrupt political elite. Their monopoly on political power led to their ultimate downfall and destruction. The "Forbidden Fruit" didn't cause the fall of man. Predatory politics did it. Biblical religion has dismissed Paganism as crass zoolatry and idolatry, the worship of lower animals and lifeless idols. Biblical religion dismisses all other religions as false and all other cultures as inferior. Paganism wasn't mindless animal worship and idolatry. Paganism was a genealogy based "ancestor worship" religion. 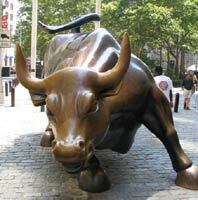 They didn't worship animals any more than the people of Chicago worship bears or Wall Street investors worship bulls. The animals that Pagans supposedly worshipped were symbols for powers that they desired to have. 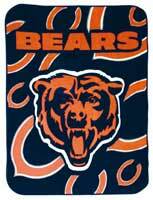 The symbols of the Chicago Bears footbal team and stock market bulls aren't "gods." They're symbols of powers that people desire to posses or control. Such was the case with the Pagans. 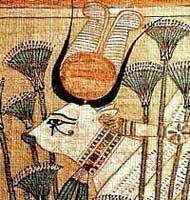 The Pagan neteru that were animals weren't "gods," they were power symbols. The Egyptian word ntr ('neter') is commonly translated as a "god." Our word nature might be a better translation of neter. Ancient people all over the world admired the natures of various animals. Nearly all cultures of the past used some forms of animal symbolism to represent various powers they feared or admired. For instance, followers of the "hawk god" greatly admired the hawk's powers of vision and flight. Pagan religion was "wisdom religion." The Pagan gods who were "gods" were people. They were deified ancestors. (The sun god occupied a unique place in Pagan religion, neither animal, human, nor idol.) Pagans revered their ancestral gods for their wisdom. In Pagan religion, wisdom was the main characteristic that separated humans from the primates of the forest. They deified those ancestors who were wise because they had contributed most to their rise above the beasts. Isis was "twice wise." She was deified as the EarthMother Goddess, because she was the ancestral mother of humans who are twice wise, Homo sapiens sapiens. "Pagan Evolution" was a human engineering project that accomplished results in a few thousand years that would have taken "natural" evolution hundreds of thousands of years, or maybe never, to accomplish. Pagan Evolution transformed the species Homo sapiens, humans who are wise, into Homo sapiens sapiens, humans who are twice-wise. That transformation took place after the melt down of the last Ice Age. Pagan genealogy and Homo sapiens sapiens began in the ancestral family of the EarthMother Goddess, Isis. When they embarked upon their human engineering project, they had no idea that it would lead to the transformation of an entire species. It began as a family affair. Anatomically modern humans replaced Homo erectus and Neanderthals during a long cold period of the last Ice Age between one hundred thousand (100,000) years ago and twenty-five thousand (25,000) years ago. At what point in time anatomically modern humans became "wise" Homo sapiens is not known. The Cro-Magnon people who painted magnificent works of art in European caves twenty-five thousand (25,000) years ago would certainly qualify as "wise" Homo sapiens. For millions of years, the human population of planet earth was very small. People lived in harmony with their environment and in balance with their food supply. Their population never grew beyond the available resources. During the last 1.8 million years, there have been long periods of stable "ice age" climate interspersed by relatively short periods of "interglacial" warming. During the long stable periods, plants and animals evolved slowly in their gradually changing environment. The warm periods came on as relatively sudden events. Those sudden events were major evolutionary events. Plants, animals, and our ancestors who lived on them, had to adapt quickly to rapidly changing conditions. The last Ice Age didn't simply melt down; it collapsed. The collapse of the Ice Age was the latest major event in the evolution of humankind. That event resulted in the birth of a new species of humans. The species Homo sapiens, humans who are wise, transformed itself into Homo sapiens sapiens, humans who are twice-wise. The collapse of the Ice Age set forces in motion that made that transformation possible. However, Homo sapiens sapiens are not purely products of blind forces. 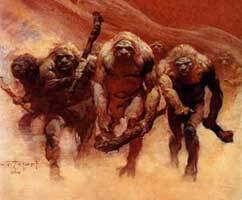 The melt down of the Ice Age created conditions that favored evolution along certain lines and not along other lines. But human genius took advantage of the conditions. We are not children of a Blind Watchmaker. Our ancestral father was Assur and he was not blind. Assur was enlightened; he was wise. That is the significance of the eye of Assur in Pagan symbolism. That is how our ancestors came to be ancestors. They were wise. Assur was an enlightened genius. The Ice Age melted down in North America, but it didn't change the people living there, nor their Stone Age culture. Civilization, and subsequently Homo sapiens sapiens, sprung from the gonads and genius of Assur. 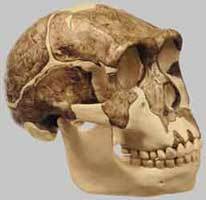 However, Assur was not directly the father of Homo sapiens sapiens. That involved another enlightened genius. That was Mother Isis. "Seeing is believing." "I know what I see." Eyes are wisdom symbols in the Pagan religion. In Pagan art, the eyes were often accentuated to emphasize the wisdom of their leaders and gods. Assur was an enlightened genius like Bhudda, Moses, or Jesus. All of the major religions were founded upon the "White Light" enlightenment experiences of individuals going all the way back into prehistory. Assur was the first enlightened genius of known history. He was the patriarch of the first "civilized" civilization and religion. Pagan religion was founded on a "trinity" of ancestral gods. They were Assur, Isis, and Heru. Isis was the second enlightened genius of that trinity. Isis resurrected Assur from the dead several thousands of years after the original Assur was dead. The resurrection of Assur was a religious renaissance based on the "White Light" enlightenment of another enlightened genius. That was Isis, and that was the origin of Homo sapiens sapiens. Homo sapiens sapiens is a new species, having arisen only since the birth of Isis and the resurrection of Assur. Isis was "twice wise." She was the ancestral mother of Homo sapiens sapiens, humans who are twice wise. Homo sapiens sapiens by definition are children of Isis. That was the original meaning of the term Homo sapiens sapiens. Western scholars and scientists have since appropriated the term Homo sapiens sapiens to use in their own collegiate discussions without regard for its original meaning. Scientists use the terms modern humans, Homo sapiens, and Homo sapiens sapiens, without making clear distinctions among them. They are all names for anatomically modern humans. 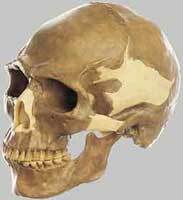 Anatomically modern humans are, and were, any humans who have, or who had, skulls within the present range of normal. By the anatomical definition of Homo sapiens, anyone who lived 100,000 years ago, and who had a skull that could pass for normal in the world today, was a modern human who therefore was "wise." That anatomical definition of wisdom presumes too much and reveals too little. 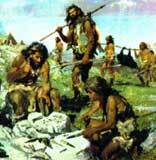 While it is true that both Homo sapiens and Homo sapiens sapiens were or are modern humans. 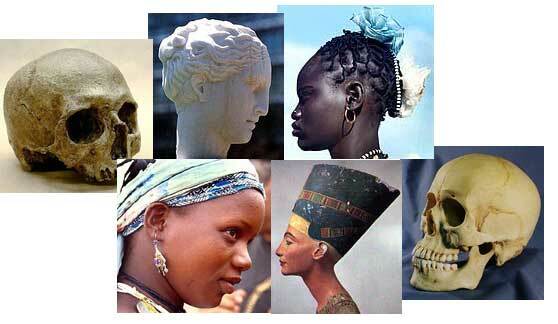 It doesn't follow that modern humans are and were always wise based on the size or shape of their skulls. Wisdom and enlightenment are not anatomical characteristics. This is not intended to disparage science or scientists. Scientists are people doing what scientists do. The scientific version of human evolution and the first civilizations is a "Blind Watchmaker" theory. The Blind Watchmaker theory presumes that the universe is a meaningless mindless collection of colliding debris in which everything happens by blind chance. That isn't true. Human civilization did not evolve out of the primeval forest entirely by chance. Without the "White Light" enlightenment experiences of our ancestors, "blind chance" evolutionary forces alone would never have resulted in anything like Homo sapiens sapiens. By chance, a mutant genius was born in Africa. But the procreation of her genius wasn't left to chance. That genius was a female ancestress of the woman who would later become the EarthMother Goddess, Isis. The genius child was born amongst a race of Homo sapiens who were cattle herders and breeders. When an animal that had desirable qualities showed up in their herd, they used that one for breeding stock to upgrade the quality of the herd. Some of the cattlemen of her tribe recognized the genius child as a potential asset to themselves. They saw an opportunity to use her as breeding stock to upgrade the intelligence level of their own family or clan. They embarked upon a breeding program to procreate progeny from the genius child that would have some of her genius intelligence. They used selective breeding and selective midwifery to upgrade the intelligence level of their own bloodline. 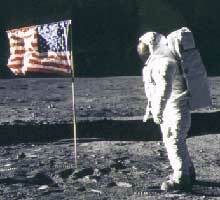 Even if they didn't know it at the time, they were an active force in the evolution of humans on this planet. That was not "blind" evolution because they were acting out of both genetic and cultural wisdom that they inherited from their ancestors, as well as experience they gained in their lifetimes. The spread of Homo sapiens sapiens to this entire planet was not the result of blind chance or natural evolution. The Genesis of genes-of-Isis to all of humankind was an enlightened work of human engineering. Minions of Isis were the prime movers in the spread of agriculture, weaving, writing, and social order that made this civilization possible. It was not all a fortuitous accident. Resurrect Isis. We need to build a society based on love, wisdom, and cooperation. We need to build a society that can accommodate genetic engineering. A renaissance of Pagan "wisdom religion" can do that. Send e-mail to: Resurrect Isis Please refer to "Pagan Evolution" when responding to this page. Pagan Genesis . . . The Ice Age . . . The First Kingdom . . .